Infiniti has recorded an exceptional month of October for sales, adding to its record streak of 14 best individual months. The company sold more than 18,400 vehicles globally last month, in an increase of more than 3,000 or 20% more than October 2014. Year to date, the company sold almost 173,000 vehicles, up around 24,300 vehicles or 16% from the same period in 2014. In the EMEA region, which is made up of Europe, the Middle East and Africa, Infiniti sold about 1,700 vehicles in October 2015, an increase of 3% compared to the same period of 2014. So far this year, sales have reached around 18,200 vehicles, an increase of 1,400 vehicles or 8%. Roland Krueger, President of Infiniti Motor Company Limited commented: "Infiniti's strong sales momentum across all regions is driven by the strength of our product portfolio, our brand and our dealer network. 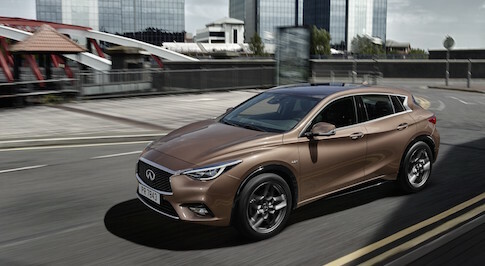 With the introduction of the new Q30 Active Compact coming up shortly, we are confident that we can further expand our market presence."